VClip is a simple and convenient tool for capturing short video clip + loopback audio (speaker sound) from your screen pixels and speaker waves. 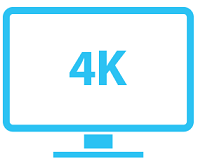 VClip can output to many format (MP4, WEBM, OGG, AVI, GIF), and comes with 3 fps options (15,25,30). VClip Tested successfully on Windows 10, 7 (should work on 8.1, 8.0, vista but not XP), compatible with HiDPI screens and display scaling. The faster and more cores processor the better, because VClip can take advantage of a multicore processor by running on more than one core at the same time. If you are on windows 10 it’s recomended to add VClip program folder to the Windows 10 defender allowed list!? Windows 10 defender (and other antivirus) slow the process of writing data to hard disk, by checking every data written, in case of VClip that’s would slows the VClip process of freeing memory and writing frames into (“VClip/Frames” folder) it’s recommended to add VClip program folder to the Windows 10 defender allowed list. VClip editor implements a nice ticklish range selector control for video range selection. VClip 2.0 is dpi-aware application , it scales nicely on high resolution and scaled screen. Hey thanks for this great tool. But Im having trouble saving the frames. This seems like an awesome little app, however, the moment I move or resize it, the recording area gets a green tint which also causes the output file to have the same green tint. No idea, I guess it’s something in your windows version, maybe you are using third party theme? , or some theme settings in your system, or conflict software. So, no border on VClip’s gifs! Don’t know what you are doing differente of GifCam, but it’s working. – File size: One of the gifs I just posted have more than 3 mb! And the image is a little weird too. Anyway, thanks for everything, updates, comments… You’re awesome. Almost forgot: do you have a Twitter account? – Yes, VClip has better code to deal with HiDPI screens and display scaling, I’m going to bring that to GifCam, but there is no bad news :) because VClip is different tool than GifCam, VClip exporting to gif is an extra feature the main idea of VClip is to record short video with speaker sound, but GifCam is all about gif, so each tool has different use cases. – I am not active on twitter. Can you add an simple edit tool ? Thanks decembre, yes I’m planning to add a simple editor and other nice options like recording sound from microphone. Hey, I love and supported GIFcam and am trying this out to post short clips on to Instagram. How do I record video, but not sound? I am trying to record small clips from the game I’m making during gameplay, but only want to record video, not sound. I’m going to add an option for “no sound” recording in the next update , for now a workaround is to go to vclip directory after recording and before saving and replace playback.wav (this file contains the recorded audio) with silence.wav file, then save. Thanks for the workaround. Shouldn’t it be mentioned on this page, though? Not just in the comments, I mean. Using: Win 7 ultimate 64 bits. You can use it for record a fragment of a video with subtitles and even measure the duration! All at the same time. Normally you would need 3 separate tools for that. -It seems that the result keeps the bitrate to the minimum, resulting in a low-quality, small size result. 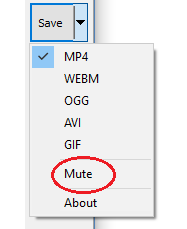 It would be AMAZING if there was a “quality: low/mid/high/extreme” option, without ‘capping’ the bitrate for the last option, giving a super high-quality result with, of course, a bigger file size. Many favor quality over file size and there are websites that allow high size video files these days. -WebM made with vclip doesn’t seem to reproduce at all on MPC-HC x86, it gives a black screen. They do reproduce on x64. Other WebM do reproduce in both MPC-HC. Really hoping for a quality option, it would make this software one of the BEST tools for make quick webM files. Thank you for mentioning a useful usage for VClip “recording video with subtitles” :). -It is good idea to have quality/bitrate options, I’ll try to add that in the upcoming updates. -Maybe it’s a bug in MPC-HC, webm works well on Chrome. I see you have good knowledge in video encoding :), you can always do the encoding manually using cmd with ffmpeg commands. Hi Isa, can you put the option to pause the recording? In GifCam you did it! I don’t know, I will try to add a pause option, it is different than GifCam, VClip pausing requires pausing the loopback sound recording process too. It’s just what I was going to suggest before seeing ganger’s comment. Great tool! Works well when recording short clips. When restarting the program it unfortunately deleted data cache from previous frames saved in VClip\frames and audio data. In this case it would be great to get a dialog box asking to process data from previous session if cache is still there instead of deleting it. That way you could possibly still recover parts of a failed recording. Have you consider going open source? Keep up the great work, also like your gifcam tool! When opening or closing VClip,it deletes and makes a new frames folder because it’s the best time to not slowing or disturbing recording and encoding process. as you mentioned VClip “Works well when recording short clips” but unfortunately VClip is not good for recording long video, because it does very intense and heavy processing to capture frames in precise milliseconds to sync sound with frames, that may lead to crash on long run, although hardware capability can help for long recording (hard disk writing speed, number of cpu cores, cpu speed). Hello :), VClip link is there, the last link in this website menu bar. Hi, when using VClip on my windows 7 pc, I cannot click the top bar of the program to move it or even close it. The only thing I can do is resize. Me too , VClip top bar works ok on my windows 7, more likely something not working well on your machine, check by running VClip in safe mode, although this is not a direct solve but you can use keyboard shortcuts to move your windows ALT+Space+M then use keyboard arrows. Great work on the program! I love Gifcam so naturally this is a something I’ve been wanting for a while. I do have issues with syncing the audio with video (there is a second delay) which happens after saving the video. Is this an issue on my end or is it something other people are experiencing? I haven’t received audio sync complaints, so more likely something on your end cause the delay, check by running VClip in safe mode or in different machine if you can. I have been using your amazing GifCam program with no problems, and now you produce yet another excellent app. Both so easy to use, take up so little space, and do the job effortlessly. I have no questions or suggestions. I just want to thank you so much, and tell you how much I admire your expertise. Greetings from New Zealand. Hello from New Zealand! I have no questions or suggestions. Just want to thank you for both of your amazing apps, GifCam and VClip. So easy to use and with no problems at all. They have given me hours of enjoyment . At this time i tried VClip only on XP (just in case :)). It didn’t work, but i saw, that frames are in .bmp. Why not in .png or even .gif? So they will take less space. png/jpg/gif(gif is 256 maximum colors) are compressed images format, saving in one of these format takes longer time than saving bitmaps, although bitmaps are bigger in size they are faster in saving because they don’t need compressing. Saving format and FPS options doesn’t show up in Windows XP, because these options are listed in a split button list and Windows XP doesn’t support native split button, the split button is first introduced in Windows Vista. the best cheers for your new tool, and it’s also keep simple and easy for use. GifCam can produce small gif size because it’s way more focused and optimized for gif than VClip, for example GifCam doesn’t record a frame until there is an action(pixels changes in the recording area), and it has transparent “green screen” pixels optimization, unlike VClip which is mainly for recording videos (videos doesn’t have these optimizations), but it’s possible in the future to add that in VClip for gif case. Hi, here again, hope the vclip can add some size presets, like 320*240, 640*480, 1280*720, 1920*1080 …..and maybe can setting the size by ourself by the custom size option. it’s will be good for video editing, because they are all same size, and I can import into others software much more easy. Yes it would be good to have custom size option, I’ll work on that. Hello, and thank you for this tool. How is it possible to capture the mouse-cursor, like it’s done in GIFCam? And all files created by VClip have padlock-icons added to their symbol, which suggests some sort of user-rights-issue when moving the file from VClip’s folder to the destination. I also hope your software were translated to more kinds of languangs. I sent you several mails about our review of VClip and an award from GIGA. Is support at bahraniapps.com still the right address? I’m not sure why but this doesn’t seem to be working for me. I’m recording on a high DPI screen and the video that gets recorded seems to be offset. It only captures a small section of my screen that isn’t even in the vclip window. Any ideas of how to fix this? But i missed an option to capture the mouse-cursor. thank you very much, this is a great extremly useable tool! With mouse-cursor capture it would be perfect. I love this tool! But is there any chance that you could add more fps options? (45fps and 60fps)? I always use 60fps if I record something small and it look pretty good if they’re 60fps. Or even: why not settingable fps with textbox/numericupdown? And yeah, Pause function would be nice, but its not important, because there is video editor that I can edit the file. First I had an AMD videocard. Vclip worked perfectly. Now I have a Nvidia videocard because my AMD got broken. Now I can’t record in mp4 anymore. any suggestions? Update your Nvidia video card driver, and download the latest version of FFmpeg.exe and replace it with the one that comes with VClip, I hope that helps. This is absolutely one of my favorite tools, thank you for making this. I have a problem with writing to mp4s, it tends to write 0 byte files, but for the other formats it still works fine. Any thoughts on how to fix this? Download the latest version of FFmpeg.exe and replace it with the one that comes with VClip, I hope that helps. Yes, VClip 2.0 shows the width x height of the capturing area in the titlebar. Hello. I am using your software, and I am interested in very much. Thank you for your providing. but VClip did not record at all field. The video file,which was recorded is including only a part at upper-left of all filed of VClip. 2. Where is VClip’s temporary file saved? 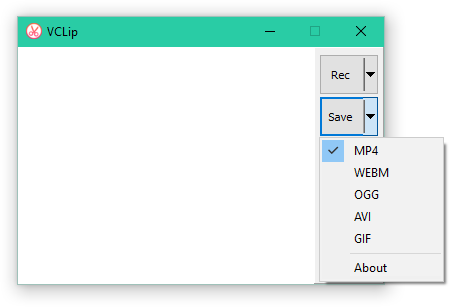 I want to customize the saving folder for temporary files by recording of VClip. My VClip folder is at Portable Hard Disc Drive, so I want to save temp files of Vclip at the same folder. Would you tell me about these things? I cannot solve these questions. 1. get VClip 2.0 it is dpi-aware version and can record nicely with high DPI screens. 2. you can copy VClip to your portable hard disk and run it from there, then the temporary files will be written on your portable hard disk. Thank you for the effort but it crashes after 1st minute or so. Try VClip 2.0 it’s more stable. Can this be used to record some in game footage? which would be great to capture short funny moments or stunts in a video game. I have Fraps but records in very large file sizes. That depends on your hardware power and what quality of game footage you want, get VClip 2.0 it has a benchmarks tool that gives capturing performance info and quality of capturing pulse line. I just got a new computer and now Vclip doesn’t work. Any tips for Windows 10? Congratulation on your new computer :), VClip works well on Windows 10, maybe you need to run VClip as administrator (right click on VClip.exe then run as administrator) or maybe you need to update your windows 10 to the latest version. It seems to stop working when I plug in headphones. Hi — as for “GifCam”, thank you VERY MUCH for this very interesting and promising tool! + more framerates, and/or: custom framerate adjusting. + may be: “superfast” + “veryfast” + “fast” (if “FFMPeg” implements those, as “x264 VfW” does). —— AAC AUDIO BITRATE SETTING: usual increments, ranging from low to high quality: 48 to 256 or 320 kbs, instead of 128 only. therefore, “VClip” sure comes as an excellent surprise! Thank you for the feedback, nice to know that VClip works well on old machines, you may like to get VClip 2.0 it has a nice benchmarks tool that gives more insight into capturing performance. Shouldn’t that tech. file be automatically deleted, to maintain as much free space as possible (+ knowing I have no use for it)? VClip keeps the loopback.wav file as overwrite file without deleting it, in case someone wants to get just the loopback recoded sound. hey you can add an option like Gifcam to open other files, to edit and save them? please. No option for editing videos yet, Windows 10 comes with simple and good video editor. The program seems to have trouble recording in high DPI screens in Windows 10. I tried recording a web page scroll activity and only 3/4 of the screen was visible in the recorded video. Also is there not a full screen option? Get VClip 2.0 please, it is dpi-aware version and works nicely with high DPI screens, recording in full screen is very costly, it may lead to crush , especially with 25, 30 fps, but maybe I will add that option at own user risk :), I added a benchmarks tool in VClip 2.0 and you will notice that the bigger recording area the low recording performance. I’m getting issues with Vclip recording it’s own window as well as shaving off a third of the screen on the right. Am on the current version of Windows 10 and have a 1920×1080 screen if that makes a difference. Get VClip 2.0 please, it is dpi-aware version, it scales nicely on high resolution and scaled screen. Hi, I am using Windows 10 at home and having a trouble with the frame when saving a video clip. Somehow, the saved video comes out off the frame. It also captures the part which I did not include in the frame. Do you think it is happening due to my laptop setting, or is there something I can do with the VClip setting? That is because VClip 1.0 doesn’t work well with high resolution and scaled screen, get VClip 2.0 please, it is dpi-aware version, and scales nicely on high resolution and scaled screen. I can confirm that turning Windows’ display scaling to 100% fixes the video output from being shifted or cropped slightly as stated in comments above. Is there a new version in the near future? thank you for this awesome tool. Thanks Wisnu, I will add capturing cursor function someday.. Thanks Diong Wen-Han, I’m Currently Working on VClip 2.0, specifically an editor for cutting frames, because it’s a basic feature to have, and more features are coming in the next updates- maybe system settings or missing file prevent you from exporting to mp4. Please, create a fullscreen option. Overall, great apps. Recording in full screen is very costly, it may lead to crush , especially with 25, 30 fps, but maybe I will add that option at own user risk :) I added a benchmarks tool in VClip 2.0 and you will notice that the bigger recording area the low recording performance. Are there any plans for a Ver 1.5 or 2.0 for VClip? Yes, I just released VClip 2.0, it has editor and benchmarks tool and other goodies, no 60 FPS and quality option yet, but more features and improvements are coming in the future! I’m willing to donate again if it gets me early access to 2.0! Hello Mike M, I guess you donate with different name than Mike M, I added a supporter names list in VClip 2.0 About window, get VClip 2.0 I guess it will solve your I/O error. Thanks for the great app! I can’t wait for the newest version, once that releases I’ll be sure to pay for it as I’ve gotten so much use out of Gifcam. That editing feature would be a blessing! Sorry for my English. I used the google translator. When selecting a range of frames from the edit window, the encoder trim loopback.wav file and create loopback2.wav file and use it to make the length of the sound file match the length of the frames range, so you must not move or delete loopback2.wav file before encoding. Thank you so much for the 2.0 version. 1.0 was great but very unstable. Let’s try this new version. What is up with the downloadable link to the archive with? This is such a niftly little tool. Pity it doesnt capture the cursor then it would’ve been ideal. Without this feature I’ll have to look at other options and judging from the comments I am not the only one. Thanks so much for this app along with GifCam! There’s one thing I noticed when using VClip for the first time just now. I had to save the output twice? The first time it didn’t save anything so I had to save it again, then it worked. I tried VClip and at “save” time it always fails to output anything on win10, I had to check “win8 compatibility” and “run as administrator” for it to work properly, bith win8 & admin was required. Worth to say, as I am a gamedev I would love a 60fps capability. Thanks a lot and kudos for your hard work. VClip works fine on windows 10 maybe your system has some defender settings or third-party ant-virus settings restrict vclip from working properly, there are better software designed for capturing games like Bandicam, OBS, Fraps..
thanks for the free app. – deleting the Frames folder crashes the app. Amazing program! One thing I am curious of however, is there a way to increase the output quality when saving to WEBM? Use ffmpeg commands to output your desired encoding quality. Try running VClip as administrator. A wonderful software for video capturing. However, noticed that it will stop working when it reach around 4 mins. (I try in Windows 10 and an error message – VClip has stopped working, will appear at around 5853 Frames 234 seconds, 25 fps), then saw the message on your website stating – capturing short video clip. So, there is a limitation of 4 mins recording? Done multiple testing and notice that it is not always at around 4 mins. It is random. It can stop working at anytime. will continue to do more testing to find the course of the problem. Could you help and find a solution ? The way that VClip works prevent it from capturing long video, I recommend using different software for capturing long video. No, just click Rec button to start a new recording. PROBLEM: This program crashes if you try switching audio devices while it’s open. Most programs will handle this fine. The problem I have in particular is recording with one device and then listening on another device separately by switching it to listen in edit mode. It’s because I prefer to record at max volume and then listen at a reduced volume by having each device preset to different volume levels. So yeah, simple ask, complex usage in my situation. Either way thanks for making this. I see no problem switching between headphone and speaker even while recording, maybe you are using some other audio devices that’s cause crash/ Maybe in the future, for now you may like to contribute to other open source screen recorders there many of them on GitHub. I just make two paypal reward and i discover that Vclip dont save anything anymore! Perhaps its the V2, I will try V1 to understand ! Its little boring to be so limited in length ! I will need to go back to camtasia…. Always use the app that suit your need, I mentioned on the app description that VClip is suitable for recording short clips, the way that VClip works prevent it from capturing long video. Thank you for the best tools. I can’t get it to save. Am I doing something wrong? I’ve tried to run as administrator. Do you get error message? maybe you have some settings or antivirus prevent VClip from working properly? Программка замечательная!! !, мне такая и нужна, для небольших “срезок” из роликов. Но проблема: не сохраняется ни в одном формате, кадры сохраняются, но видео нет. Пытался запускать и с правами админа, то ж самое. Система Windows 7, антивирус Kaspersky. Скачивал вторую версию VClip, результат тот же!, а дизайн остался от первой версии, хотя по содержимому папок, это вторая. Если нужна поддержка, то я согласен. Может быть, вам нужно добавить (VClip.exe & ffmpeg.exe) в список доверенных программ Kaspersky. Maybe you need to add (VClip.exe & ffmpeg.exe) in the Kaspersky trusted applications list. Касперски их автоматом добавил: ограничений нет, запуск разрешен. Включен режим безопасных программ, ни одного предупреждения или запрета. А, скажите- после редакции ролик должен прокручиваться?, или нет?? Самое большее, что удалось сохранить в указанной папке, по указанному пути , то это только один кадр, так как ролик, во время сохранения, не прокручивается. Нет и сообщения, типа: “успешно сохранено”, просто окно сохранения “молча” закрывается. Я не могу придумать причину, кодировка (ffmpeg.exe) не работает должным образом на вашем компьютере. I can’t think of a reason, encoding (ffmpeg.exe) is not working properly in your machine. Возможно, вы помещаете VClip в каталог, который требует прав администратора или имеет пробел в названии, помещаете папку VClip непосредственно в c: и запускаете ее как администратор. Maybe you put VClip in a directory that require administrator privilege or has space character in its name , put VClip folder directly in c: and run it as administrator. My Vclip does not seem to do any saving/encoding when I do some edits to my clips. If I dont do any edits, its saves/encodes the files just fine. Any reason why editing the clip causes this issue? I’m planning to add capture cursor option in the next update, for now I just released RecButton http://blog.bahraniapps.com/recbutton/ it has a cursor option. Hi Lucía, I apricate your kind comment, I can’t guess the problem but maybe you put VClip in a directory that require administrator privilege or has space character in its name , put VClip folder directly in c: and run it as administrator, I hope that help. Hi Isa, this program is one of the first really good portable ones that I’ve come across, and I just wanted to say thank you! Sadly though I can’t get it to export the recorded video after it’s done. I have read what you’ve responded with to other with this problem, but I was curious if there is any other way besides running the program with admin rights? The computer I wish to use this on I don’t have admin rights on, so I essentially can’t run it using that meathod. Please let me know if there is any workaround towards that issue! Hi Artem, so VClip writes frames on hard disk, and if the admin prevents apps from writing files then you need admin privilege, try running VClip directly from a flash stick in this case VClip will write files on the flash stick instead of hard disk and maybe that doesn’t need admin rights, also there are tricks on how to run programs without admin rights, google that maybe some tricks work for you. Yes, I’m planning to add capture cursor option in the next update, for now you may like to try RecButton http://blog.bahraniapps.com/recbutton/ it has a cursor option. This program worked fantastic for a few days of use (I really have to commend you for the superb design and functions!) but I currently cannot open or view any of the videos I captured. The frames save in the frames file, but the video does not process, and shows an error message (Can’t Play: The item is missing or we can’t get to it. 0x80070002). I’ve tried running as administrator, but the videos still do not save properly. Is there any other way to get the videos to work? Hi Sam, I can’t tell exactly if the videos are not encoded properly or some changes happened to your system cause that error, check the size of your captured video and see if you can play it in different machine, or check by uploading to social media, update your windows to latest version, try using different media player like VLC, I hope that helps.